MBA has always remained a popular choice as a profession and undoubtedly offers a fair opportunity of career options which are well rewarded. Grooming a student as a leader or a manager is a task far intricate than just delivering classroom knowledge and requires industry relevant expertise and some out of the box practices that help shape up the path of success. At the Indore Institute of Management and Research, we have integrated the formal education of MBA courses with the few unique aspects that add advantage to the overall preparation of our students. Let us take a look at the methodologies that have helped us impart our students with a competitive edge in the job market. 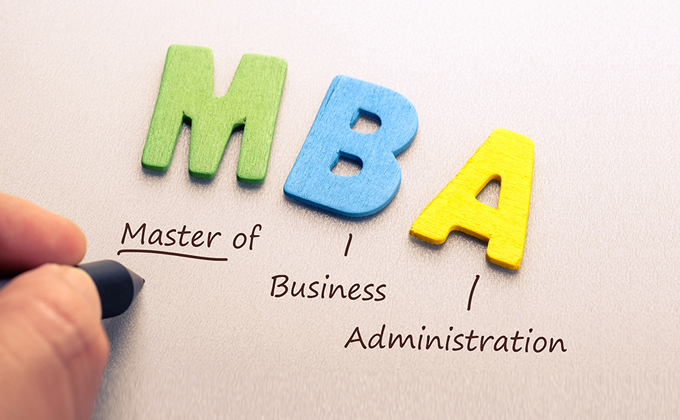 The academic course lines for MBA are integrated with the special skill-based training program at IIMR. The comprehensive and inclusive program of soft skill trainings, corporate certifications, digital skill training, and language lab training develop expertise among the students in an industry-specific direction which helps them to grab a job quickly once they complete the course. Data Science by SAS, Financial Service Certification by NSE, Software training of SPSS, R, IBM Congo, SAP, etc. are some of the training modules that enhance the employability of our students in the perfectly competitive market. No matter how good the curriculum is or how vast the classroom preparations are, hands-on experience in the field of work is something that can never be replaced with textbook knowledge. Immediately after completing the first year of essential learning of management education, IIMR provides the students with an opportunity to join a business house as a part of an internship program that enables them to deeply understand the working process of the corporate world. Thissix-week long training empowers the students with an insight into the real industry. There are capstone projects as well under which the students are provided with the opportunity to show their expertise in managing a given situational crisis as a manager. IIMR also arranges for options to get the students included in the running workforce of the enterprises to make them interact with the senior management of the big business houses. IIMR encourages the individual talents to come forward and make history for tomorrow. The young minds with exceptional entrepreneurial abilities are cultivated at the incubation centre of IIMR where they learn to be the leaders of the future and learn a cohesive process of working. The supportive activities like regular clubs, publication of newsletters, cultural functions, and an open environment contribute to the holistic development of the students. As far as the back end facilities are concerned, the leaders of tomorrow receive all-round support of extensive ERP module integrating almost every nook and corner of the operations, updated pedagogy enabling global standards, digital library with access to countless books from across the world, and an international standard teaching process. The final stage of any professional course is always the recruitment part, and IIMR excels in the same. With fascinating records of successful campus interviews, IIMR has remained successful in enabling its graduates to earn packages as high as 8 Lakhs per annum. Around 200 recruiters participate in the placement drive at IIMR every year, and the practical and industry-driven approach of learning at IIMR makes the selection processes easier for the students with maximum success rates. Every student is given five opportunities to grab a job in his or her relevant field of study with companies like ICICI Direct, HDFC Bank, L&T, Axis Bank, IndusInd Bank, and many more worth a mention. We, at Indore Institute of Management and Research, recognized as one among the Top B Schools in Madhya Pradesh, put every effort to make our educational programs exceptional and out of the box by including global standard practices and trends. Our team of learned and experienced faculty members ensures of imparting the best education to our students as a combination of knowledge and experience. With individual focus on the expertise of every student, we, at IIMR, make success easier to achieve for them.